«It is more blessed to give than to receive” (Acts 20: 35). When you receive, your hands are filled but when you give, your soul is filled. When you swear for someone else, your body is getting tired but your soul is at rest. Life means “offering”. Marriage is also an offering. It is a source of life and of joy. A candle will not illuminate a room if it does not melt. Incense doesn't become fragrant if it doesn't melt. The same is true of spouses. If they do not “melt” into their obligations, they will not illumine in their marriage or become fragrant. Every husband and wife can become light and incense as long saw they desire to do so, as long saw they try and struggle to “melt” while fulfilling their spousal obligations. 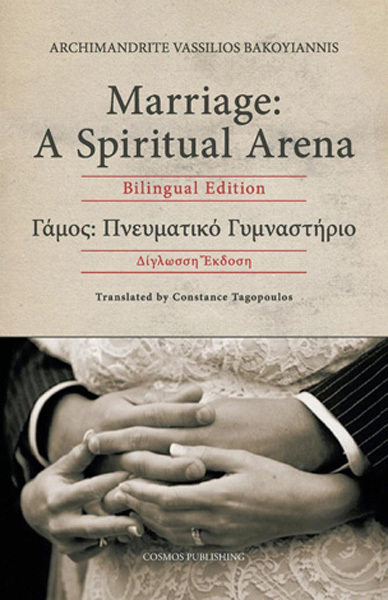 This book is a guide to a good and successful marriage. Hopefully, it will help our brothers and sisters in Christ view their marriage as a spiritual struggle which can “elevate” them to Heaven. Amen.